A Pediatric Dentist has two additional years of training beyond dental school in a hospital or university environment to prepare him/her to treat any situation, simple or complex, related to infants, children and adolescents. Special emphasis is placed upon the physical and emotional needs of the developing child. Our intent is to provide an environment second to non which will allow our patients to be relaxed and confident in our approach and our treatment. He was voted Top Dentist in 2013 and 2014! Dr. David M. Rider graduated from Western Kentucky University in 1975. In 1978, Dr. Rider enrolled at the University Of Louisville School Of Dentistry and graduated in 1982. He completed his Pediatric Residency at Cincinnati Children’s Hospital Medical Center in 1984. Dr. Rider lives in Northern Kentucky with his wife Vicki and has two children Lauren and Mylor. We thank you for your interest in our office and look forward to providing your family with the finest dental care available. We hope to create a positive experience for your children that they can enjoy. We strive to create a positive experience for all children in an environment that is fun, "non-medical”, and above all non-threatening such that they are willing to return without hesitation and able to receive state of the art care on a continuing basis. Dr. Kelty McLaurin is from Jackson, Mississippi. 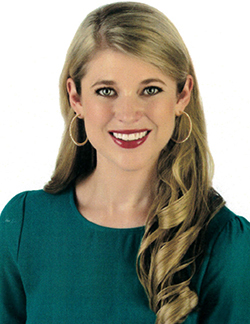 She graduated from the University of Mississippi in 2010 and went on to complete her dental degree at the University of Mississippi Medical Center in 2015. 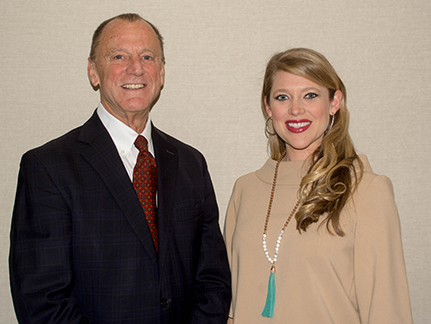 Dr. Kelty completed her Pediatric Dental Residency from the University of Kentucky in 2017. Dr. Kelty is an active member in the ADA and the AAPD. She is a member of The Junior League of Cincinnati and stays active in the community. She has been married to her wonderful husband for three years. In Dr. Kelty’s spare time she loves exploring Cincinnati with her husband, biking, running, cooking, and traveling. Dr. Kelty is so excited to work for Dr. Rider’s team and looks forward to taking special care of your children! Pediatric Dentists in Highland Heights, KY serving infants, children, adolescents and children with special health care needs in the surrounding cities of Alexandria, Ft. Thomas, and Cold Spring, KY.